Monrovia-Liberia - Vice President Chief Dr. 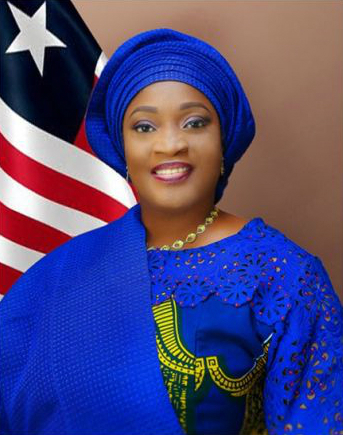 Jewel Howard Taylor has broken grounds for the construction of a Vocational Training Center in Fuamah District, Bong County. The NVTI, according to a release from the office of the Vice President, is currently being operated from Congo Town, Monrovia, and offers several disciplines including Auto mechanic & Electrician, Basic Air Conditioner, Service Station attendant and Information Technology, among others. Speaking at the ground breaking ceremony Friday Oct.12, 2017, VP Howard-Taylor reiterated that ensuring equitable access for all Liberians to affordable and quality technical, vocational and tertiary education is a major component of President George M. Weah Administration’s Pro- Poor Agenda. She however clarified the initiative which is void of politics is primarily intended create access to opportunities through inclusive technical and vocational training to thousands of youth who lack skills to become employable in that part of the country. The Liberian Vice President observed that significant numbers of the Youth in that part of the county lack the basic skills and know-how to enhance their chances for employment and contribution to Liberia’s development process. Speaking earlier, Bong County Superintendent Esther walker who welcomed the construction of institute in the county, also lauded the Vice president for contributing to the education of ten girls from Nimba County. Also speaking Bong County District #7 Representative Joseph Kolleh admonished parents to take seriously the initiative in order for their children to become productive citizens in the society. The groundbreaking ceremony which was held in Bong Mines, Bong County was graced by representatives from ArcelorMittal, NASSCORP, Monrovia Club Breweries, LISCR, MNG Gold, Commissioners and traditional leaders among others.